WHAT DOES IT TELL YOU when NBC, primarily an entertainment TV network, sets higher standards for its on-air employees than the Republican party when it comes to its presidential nominees? NBC suspended, and is terminating the services of lightweight Billy Bush for participating in the gutter-level tape that was uncovered where Trump jokes about his utter lack of respect for women. The former Today contributor is likely to walk away with a departure settlement up to, according to some sources, $10 million. Not a bad payday for unprofessional behavior. Trump, meanwhile, continues his embarrassing presidential campaign without any formal discipline from the GOP party moguls. Maybe they could offer him a buyout from running for the presidency. EVEN THE REACTION AMONG politicians on both sides to Trump’s total absence of presidential decorum, is disappointing. Clinton supporters are showing far too much glee over the disturbing revelations that continue to surface. Sure, it’s something Hillary will capitalize on. The reality is it makes little difference whether you are a Republican, Democrat, liberal or conservative. Trump’s campaign has been an embarrassment to the nation. There is nothing to be gleeful about. It’s a sad and pathetic situation. On the GOP side, there’s certainly no glee. But there is also very little display of conscience and integrity. Except for people like Mitt Romney, John McCain, and John Kasich, the majority are testing the political winds to see whether it’s safer for them to denounce Trump and jump off his crumbling bandwagon or stick it out so they don’t hurt their party standing. Very little thought is going into what’s right and what is just not acceptable. I wish the late Mike Wallace was still with us and could have 10-minutes of airtime for a one-on-one interview with GOP Vice Presidential candidate Mike Pence. This guy must dive into a swimming pool of liquid teflon every day so he can be all things to all people and never answer a tough question. WHILE THE CANDIDATES committed to a third debate, the viewing audience should have refused to participate. If Trump is ever part of another Town Hall forum debate, he should have a fence erected around him so he stays in his own territory when the other candidate is speaking. Another thing that might be helpful is for a candidate’s microphone to be automatically shut off when it’s the turn of the other one to speak. POLLS ARE THE NEW RAGE. Every TV network, newspaper syndicate and internet media outlet produces them. I'll bet if a poll was taken of voters for and against scrapping the Nov. 8th election date and getting the voting done today, 90 percent would be in favor of immediate action. One thing we can all agree on, it would be nice to end this torture of watching two horrendous candidates insult the intelligence of the American public. It will be a relief when Trump, in defeat, stops his campaign of ignorance and insults and goes back to what he does best, mugging for the camera on reality TV and bilking whoever he pleases on big business deals. Isn’t it strange that the endorsements and money have not been rolling in to Trump from the business sector. Wasn’t he supposed to be such a giant in the business industry? If Trump was elected, it would be appropriate, in line with his personal philosophy, for his inauguration speech to include: "Ask not what you can do for your country, ask what your country can do for you." Almost as big a relief will be Hillary halting her impersonation of a weather vane, shifting on her promises and policy statements according to the political breezes, and disappearing a bit from sight for a few months before the inauguration. Won't it be nice not having to hear her fake southern accent when she campaigns in Florida and the Carolinas? INSTEAD OF POINTING FINGERS and whining about Russia or whoever is hacking into emails and our computer systems, why isn't the focus on coming up with solutions to improve our cyber-security? The fact that we are so susceptible to all this cyber hacking and meddling is the big disgrace and issue. Russia spying and trying to interfere in our business? As Claude Rains said in "Casablanca" as he collected his winnings, "Gambling? I am shocked." While the hacking in and stealing emails to publish to a worldwide audience provides interesting insight into what some of our high profile and powerful people honestly think, the problem is who decides, and why, certain people are exposed. There is no context of fairness when decisions of who gets hacked and embarrassed is done strictly for political motives and personal biases. From this day on, anyone who puts controversial content into an email is a complete fool. THE LACK OF PLANNING AND MAKING FINANCIAL commitments to maintaining public transit is surfacing around the country at the same time. Washington DC, New York, New Jersey and Boston are all experiencing equipment breakdowns and safety issues that are a result of necessary maintenance and needed modernization having been swept under the tracks and ignored for too many years. NATIONALS MANAGER DUSTY BAKER, would have probably liked to have taken a subway out of town following his team’s elimination from the playoffs. Baker, who seldom lasts very long with one team despite an impressive regular season record, has now lost nine consecutive playoff games in which a win would have advanced his team to the next round. Baker tends at times to over-manage and become involved in aspects that are not part of his job. 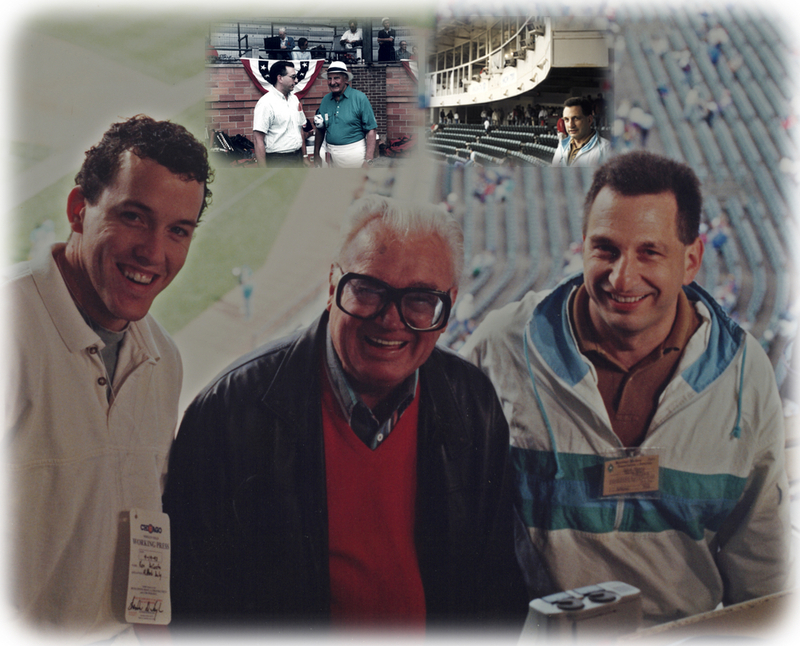 Years ago as Cubs manager, his complaints about the local telecasts helped make Steve Stone and Chip Caray decide to quit the team’s broadcasting booth. Baker could do no wrong during his first season in Washington. However, if the Nationals don’t get off to a hot start next year his situation will be interesting to watch. FOR THE MOST PART, the announcers TBS and FS1 burden us with throughout baseball’s playoffs detract from the game. TV analysts like to chatter monotonously about the number of pitches a pitcher has thrown. What, however, would be a great innovation is word counts for the babbling broadcasters. They should be given a limit on how much yakking they can do and, if they exceed their limit, they’d be forced to sit in silence, resting their vocal chords, for the next game. Beside giving the play-by-play announcer some freedom to call the game, the threat of being removed in the early innings might make people like Ron Darling and Cal Ripken more thoughtful and selective in what they have to say. NO QUESTION THAT DAVID ORTIZ, retiring Red Sox slugger, capped off a tremendous career as a power hitter. Boston, however, displayed a tremendous lack of perspective in commemorating the final stages of his career. To put him in the same class as Ted Williams, the greatest hitter in the history of baseball, is absurd. Williams was so far above his contemporaries the way he hit for power and average he was practically performing at a level of his own. Ortiz, in contrast, was accompanied by a number of other sluggers in both leagues, hitting the ball into the seats. Ortiz boosters point to his impressive post-season stats as a reason for him to be put in, or above, William’s class. That’s comparing apples and oranges. In Williams day, the only post-season games were in the World Series and there were not numerous rounds of league playoff games. The Splendid Splinter only had one opportunity for post-season action. It should also be pointed out that Williams spent his entire playing career, when he wasn’t losing prime seasons in World War II and the Korean War, playing left-field. Ortiz, on the other hand, spent much of his career resting on the bench as a DH between at-bats. SPEAKING OF LEGENDS, was there ever a better ambassador for a professional sport than golfing great Arnold Palmer, who recently died at the age of 87? Palmer ushered golf into the modern television era with his positive, determined and distinctive style, drawing a huge number of fans that became known as Arny’s Army. Palmer conveyed a warm, honest demeanor and, even up to the end of his life, he was a terrific, likable pitchman for a wide assortment of TV commercials.